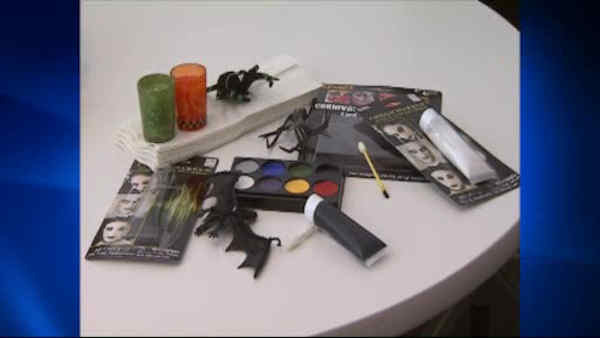 MAPLEWOOD (WABC) -- Officials at a northern New Jersey elementary school have canceled Halloween parties at the school this year, citing community diversity. Parents whose children attend Seth Boyden Elementary School in Maplewood received a letter saying many different cultures are represented in the community and many students felt left out at past Halloween celebrations. Principal Mark Quiles and two PTA co-presidents said about 20 percent of the student body didn't participate last year. An attempt to cancel Seth Boyden's parties in 2014 sparked a community debate that ultimately led to reinstatement of the celebrations days prior to Halloween. A school district spokeswoman says no Halloween parties were planned at the school this year, but the letter was sent to avoid confusion. What a wonderful start to the school year we have had - the school is bustling with activity in the garden, on the playground, and in our classrooms. We started the year with an amazing turnout at our Ice Cream Social. This was followed by a huge gathering of families to clean up our garden and grounds, a great turnout for Back to School Night and an informative evening with Dr. Ramos. Exciting things are happening with the plans for our outdoor classroom, in the art room, the music portable, the library, and all over the school. Through each event and daily or special activity, the values of Seth Boyden shine through - inclusion, respect and value for all. It's an exciting and uplifting time to be part of the Seth Boyden Community! As we all know, one of the strengths of Seth Boyden is that we are such a diverse community, with many cultures represented, and that we truly value each one. In the past, in-school celebrations of Halloween have made many of our students feel left out - last year 120 students did not participate in the in-school Halloween celebrations, and many other families kept their children home on that day. In total, 20% of our students did not participate. As a result, after careful consultation and deliberation, we have decided not to hold in-school Halloween activities on Friday, October 30. The children who enjoy this holiday will still have ample opportunities to celebrate, including the annual Maplewood event on Baker Street and Maplewood Avenue on Friday after school, and the usual trick or treating activities on Saturday, October 31, the actual day of Halloween, throughout our towns. We look forward to celebrating many events at Seth Boyden in the coming months, including our wonderful Harvest Festival on October 17, our Turkey Trot on November 14, and our Book Fair Family Fun Night and Dancing Classrooms in December. We look forward to welcoming you at each event.